Maybe you’ve been teaching for 10 years (or it just feels like it). Maybe you’re not feeling authentic, excited or motivated to teach. Or maybe you just need a regular ol’ shake-up to stay inspired. Here are 6 ways to reinvent yourself as an Instructor – and they are not as dramatic as you might think! Imagine you are looking at the choreography notes for your program for the very first time. When was the last time you looked – I mean, REALLY looked – at the coaching notes? When did you last pay attention to the Why, the Technique and Coaching, the Essence Tips, the Glossary, Layers 1, 2 and 3 Coaching, the Intensity, the Performance and the Facts? You will be shocked at the things you have forgotten, the cues that are golden and the information you can share with your members that will completely transform your class; it’s all there for you in your notes. It might seem counterintuitive to become a beginner again as you aim to evolve your classes – but the longer we teach, sometimes the further we move from the pure essence and basics of our program. Over the years, our classes can become a 'Chinese Whisper' of the original intention. What would happen if you stripped your class back to basics? Back to what you were taught at initial module training all those aeons ago? Concentrated on Track Focus, Layer 1 cues, and allowing the music to speak? How much would you class change if you took away, rather than added to? There is nothing more transformative than training in a new program. I recently certified in BODYBALANCE/BODYLOW – a program that is a complete 180 for me (as I would consider myself high energy…depending on the day!) This, combined with not having trained in a new program for seven years, has made me feel like a brand new Instructor – both literally and figuratively. Training in a new (and unexpected) program has not only reinvigorated my other programs (reminding me to look at the coaching notes and “become a beginner again”), but it’s also been exciting to learn and teach something completely fresh and different. Sometimes when you teach at the same place to the same faces, you automatically deliver the same performance (which, hello, isn’t terrible – these people keep coming back right? That’s a vote of confidence right there). But if you are in need of some reinvention for your own development and longevity – shaking up your audience can disturb your teaching. In a good way. 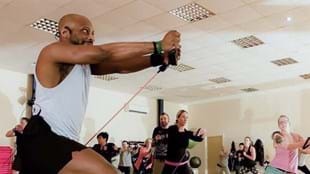 The easiest way to do this is to cover a class or team teach with another Instructor at a timeslot or at a club you’re not used to – or pick up an additional class at a different club. Perhaps the new people in front of you require different cues? Are motivated by different prompts? They may require different words, phrases and expressions than you are used to delivering. Advanced Training is the ultimate way to revitalise your teaching. On this course you dig deep into the reasons WHY you teach and find out where your natural strengths lie. If you are in a bit of a rut with teaching and need to find your mojo again, this training is the answer to revolutionising your teaching and reminding you exactly why you love it! 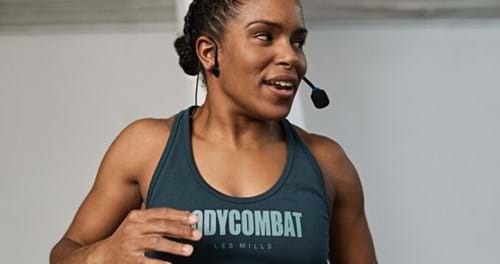 Marie Anagnostis is Marketing Communications Manager (Australia) for Les Mills Asia Pacific. She first trained on BODYATTACK 52 and has since trained in 5 other programs. She now actively teaches BODYPUMP, CXWORX and BODYBALANCE/BODYFLOW. In her spare time, she emulates her paid work: when she's not teaching classes she's hanging out on the gym-floor and when she's not writing for LMAP she is writing for her blog: Wretched - Anti-Fitness-Fitness-Club.